Better Than Success Real Estate League Weekly Mastermind Recaps. When you are new to podcasting you might be looking for a free podcast host. Or perhaps you have an established podcast already, but you're working on a side project with a co-host. Free Podcast Host is a show from Ileane Smith to help you find the perfect hosting platform to get you up and running quickly with your new show for ... See More free. Ileane looks at the best options for you including: recording, promoting, listening and of course hosting your next podcast show. 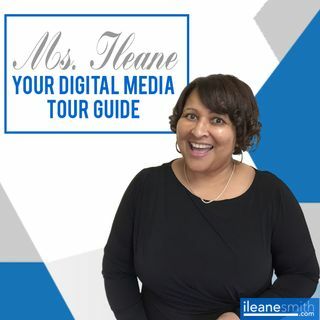 Ms. Ileane from ileanesmith.com helps you learn Anchor Podcasting tips, inspiration and digital media ramblings. Search for @ileane on your favorite social media networks and live streaming platforms like YouTube, Instagram and Facebook Live!